January 26, 2016 January 26, 2016 Tristin MckinstryLeave a Comment on Is LeBron James a coach killer? Miami Heat part-owner Raanan Katz says that LeBron James tried to get head coach Erik Spoelstra fired during James’ tenure with the team. This remark comes during the aftermath of the Cleveland Cavilers parting ways with head coach David Blatt. Blatt and James have had some rumored disagreements, but James has denied any of it. “LeBron doesn’t run this organization. LeBron is about this organization, and he is of this organization, and he’s of our community.” Cavs GM David Griffin said Saturday. According to reports, LeBron did not know the firing was coming and was surprised by it. Can we really believe that? Here’s an owner (Katz) who’s saying that LeBron has tried this before. Now, that was a few years ago, but I recently read a quote from James that read “He [New Cavs Head Coach Tyronn Lue] will coach me and I’ll listen”. Those last two words resonate with me. I’ll listen. I’ll. Listen. That sounds, to me, like James did have some problems with Blatt. To what extent, I do not know, but it certainly sounds like some issue came between them and upper management. I believe David Griffin when he says that LeBron doesn’t run the organization. 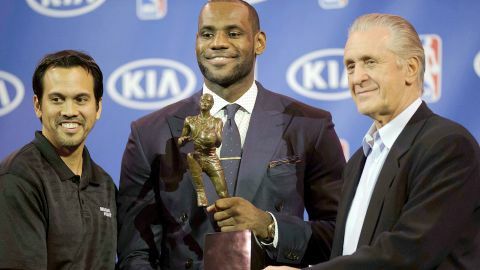 However, LeBron sure as hell has a huge impact on the moves they make, more of an impact that I believe he should have. Is he a coach killer? Does he lobby for certain coaches to be fired? I’ll let you decide. Previous MLB clears Yu Darvish in involvement in gambling ring. Next Panthers agree with Barkov on new extension.